Here are just a fraction of the comments both parents and pupils have e-mailed us. "Billy has been swimming at Springboard for the last 2 years and the progression that we have seen as a result of the concentration on his stroke has been incredible. He really enjoys the weekly lessons and we can't thank you enough for the fantastic teaching he's had from every instructor at the Mall. Last week Billy won the Independent Boys Year 3 Borough Final 2015 and is now the Richmond Borough Champion! We would not have achieved this without Springboard and we are really looking forward to joining the Alpha squad next term. Thank you Springboard!" My 8-year old son and 6-year old daughter attended springboard lessons for 2 terms this past year having had several lots of lessons [at several other swim providers]. The contrast was immediately clear. At Springboard, Gary and Anna were much more engaging than previous teachers. They were kind and warm made our children laugh. They looked them in the eye and - unlike other teachers - never gave the impression that they would rather be somewhere else. They used the professional teaching approaches that seem to be a feature of Springboard consistently so that our kids came on in leaps and bounds in terms of technique. Gary and Anna were rigorous in this respect. I think our kids always felt safe and valued while they were taught with Springboard. Children can tell the difference between people who are there in body and those who are there in spirit as well. I wanted to book term time lessons for John now I live in Chelmsford. But I know no-one would compare with you guys, so if we can book the half-term course for him at Stanley, I would really appreciate it and I will stay with my Mum! Overall I would say all the teachers at springboard are fantastic and are the key to the strength of the brand. I pulled my eldest out of [another club] as he hated being barked at by the guy who taught there. Mark was v reluctant to have swimming lessons but he has a giggle, and has encouragement, so wants to continue. He won't swap to [another club] even though his friends are there! Our daughter has been having swimming lessons with Springboard now for over 4 years. Springboard were recommended to us by a friend and we have since recommended Springboard to many people. We love the fact that Springboard teaches proper swimming technique rather than just dishing out badges for getting through the water any old how like other swimming schools do. She has gone from being terrified of getting water on her face (when Caroline showed amazing patience) to getting her 10 metre badge (with the help of the wonderful Jane!) and just last week having a really enjoyable time on a crash course with Robert back at Stanley. Please pass on my thanks to Brian as he was absolutely superb with Maddy. Maddy seemed to struggle at the start of the lesson today and mid way through I explained that she had Dyslexia. Brian was really sensitive to this and made a real effort to make her feel really good about herself. It was a joy to watch her change from being anxious to actually smiling in her lesson. Thank you very much. I think Lewis found the classes extremely good as they were very positive. Alison in particular had her face at his level and had a huge smile constantly so she was very easy to get on with. The teachers being in the water along with the children made an enormous difference also . The instructions are very clear and rarely is there criticism. If there was criticism it was done in a fun way . Instructions were given in very short amounts at a time. With only about 3 things to focus on maximum. I was very impressed with the lessons and Lewis’s progress. 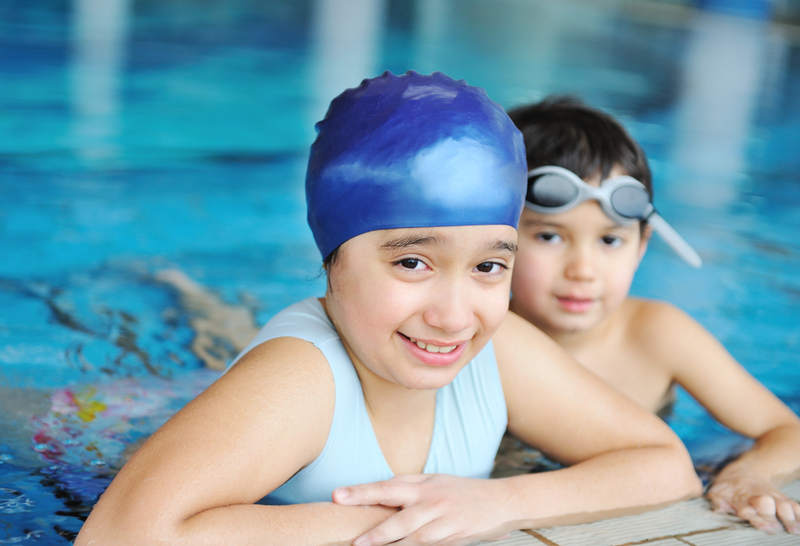 We have had a very positive experience with all your swimming tutors. Alison is great and particularly so because she takes time to talk to the children as well about what they have been doing etc. For a shy child it makes real difference. I think what singles out Springboard teachers is that they are firm but fair. It's good to hear children being told to pay attention in a firm, no-nonsense voice. Not shouting, just clear and calm instruction. My wife and I were very pleased with the manner with which the swimming instructor encouraged and cajoled our 2 children. Zlatan was brilliant. Warm but still demanding and challenging which was exactly what my son and daughter needed. He improved their confidence 100% with very close observations, such as noticing that my daughter tended to tense her neck muscles when swimming back stroke and therefore, making her aware that she needed to relax a little more. We couldn't have been happier with his kind and caring coaching. Just a quick note to say how impressed I am with the 5 day crash course that Daisy and Harry took - they both enjoyed every minute of it and I am amazed at the progress they have both made. I am still on a high from my lesson yesterday when I swan FOR THE FIRST TIME IN MY LIFE! It was amazing and I'm so grateful to Jane - she is wonderful.